 today when I look outside everything was white. So I thought I have to change ApoImp4k and give the game a nice snowy, christmas outfit (,more tiles and more levels). 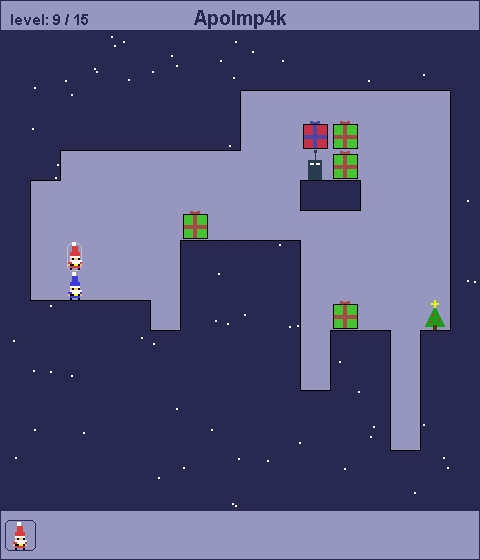 In ApoImp4k you control two imps who love christmas and want to idle at the christmas tree. So please: Help them to reach the christmas tree. Play the game with the keyboard AND the mouse. If there is no error or bug that is the final version. I hope you like it too. If you like the 4k-game and want to make your own levels then try the editor. After solving the level, you can upload it ingame and play other userlevels if you want. The best levels I will implement in the 4k version. But is ApoImp4k too hard? You want more easy level? Other suggestions how to make the game better? If you want to make your own level then try the editor and upload it. Well, Apo did say he was going to beat the record and actually did it. Zeroone's packing skills are still very impressive in my opinion, he managed to fit the entire Pitfall game in 4K with all the game play intact. However, it is very difficult to make good puzzles for different games challenging over and over again, especially in 4K. I commend you for your work Apo, it truly is impressive. From TVTropes: "Badass is an adjective used to describe a character who gets away with outright insane stunts that would be very hard to pull off, or would get the person trying it killed several times over." This guy is straight from your secret fantasies about karate-ninja Java developers. If you need help in some level(s)? 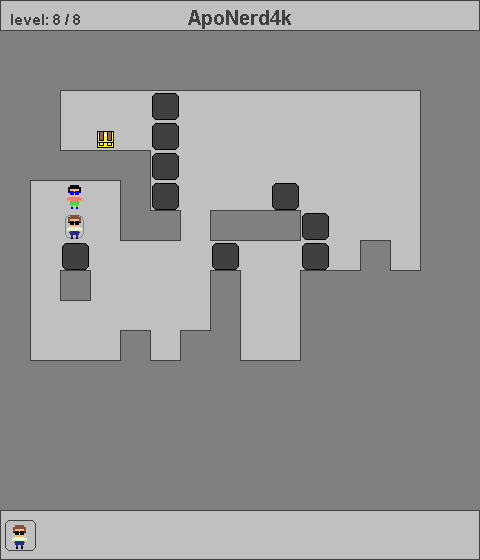 now I implemented 2 more levels and removed 2 big bugs with the ladder. Now the game is 4092 bytes. So if you can't find any bug, it is the final for ApoImp4k. I think this is my favourite one of your 2013 games so far but I'm sure I haven't played them all yet! 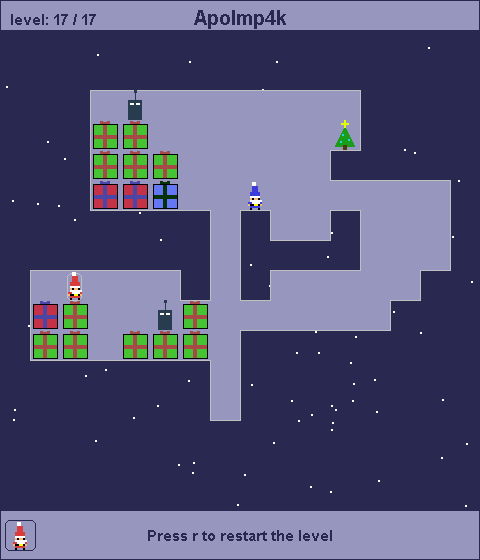 I like the christmas colour scheme and the puzzle mechanics. Playing the game using a laptop means right hand on touchpad and left hand on cursor keys, which is crossed over and awkward. WSAD would be easier in this case. Also, when a new level starts, you have the cursor keys held down from the last level and so you keep moving. So I usually have to restart right away as I've put myself into a trap. A little 1 second delay would help. I added "wasd" to control the players and there is now a little 300 ms delay after finishing a level.